Examinees who are waiting for their Class 12th results for Science, Commerce streams then, you will be happy to know that the result declaration dates has been confirmed now. 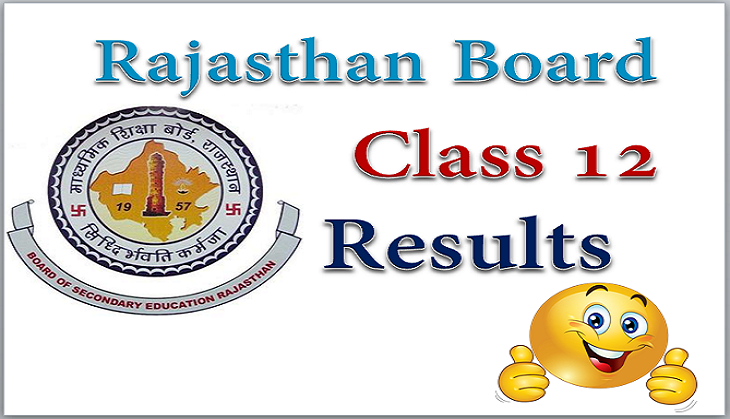 Yes, as per the source close to the Rajasthan Board of Secondary Education (RBSE) has said that the result for the two Class 12th streams will be releasing on this Wednesday in the evening. According to the reports of NDTV, the result for RBSE Class 12 Science and Commerce results will be declared on 23rd May 2018 at around 6:15 pm, said Board officials. Therefore, all the interested candidates should be attentive for their results now. As the time has come now for the result announcement. So each and every student have to keep an eye on the official website of RBSE. Because Board is all set to release your results. However, Board is yet to announce the result declaration dates for class 10th and class 12th Arts stream as well. Apart from the official website, if you are thinking that where to check your Class 12th Science and Commerce result then, you can also check your results on the third party website like examresults.net. What you have to do for checking your results on the official website is that just submit your examination details which is mentioned on your exam admit card and after entering it you can check your results easily. According to the media reports, this year over 8 lakh students had registered for the Class 12 examination and out of the total, over 40,000 are from Commerce stream, around 2 lakh in Science while more than 5 lakh in Arts & Humanities. The examinations for all the RBSE Class 12th streams were conducted between 8 March to 2 April 2018.